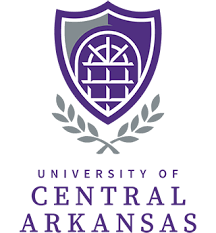 Conway Christian School partners with the University of Central Arkansas and Central Baptist College to offer concurrent credit coursework for qualified juniors and seniors, giving students the advantage of completing many of their general education requirements prior to college enrollment. Guaranteed credit: If students achieve a passing grade in a concurrent course, college credit is guaranteed. For AP courses, a student must achieve a certain score to receive credit. Therefore, it is possible for a student to do well in a course but not on the AP exam and receive no credit. Curricular control: Working within the parameters of the partner college’s syllabi, faculty can decide how to approach the course and which texts to include. AP requires teachers to “teach to the test,” thus allowing College Board (which oversees AP testing) to control the curriculum in a class. Curricular breadth: Teachers are free to cover entire literary works and may assign appropriate essays to assess the material. AP testing requires that teachers shorten works to excerpts and use multiple choice tests for assessment. Concurrent credit students receive a broader and richer education in the subject rather than merely being prepared for an exam. Appropriately educated faculty: Concurrent credit law requires that concurrent credit teachers have master’s degrees and at least 18 graduate hours in the subject matter of the course taught. Requirements for AP teachers typically are just attendance in an AP Summer Institute though some districts set further requirements. Concurrent credit faculty are actually qualified to be college instructors. The Conway Christian concurrent faculty are not only qualified to teach college, but also have actual college teaching experience. CCS currently has six faculty members capable of teaching at the concurrent credit level. Two of those teachers also serve as college adjunct instructors presently. CCS can currently offer college level courses in English, philosophy, fine arts, math, and social sciences. Most Christian schools are unable to offer concurrent credit courses due to faculty qualifying restrictions. Instead they rely on online college courses taught by college professors unfamiliar with high school students. Concurrent courses are given extra grade point weighting in order to distinguish students who take on the extra workload and academic rigor of college-level coursework.